The kick on is back. Auckland's most exclusive monthly late night house & techno soirée returns for the second instalment after the huge success of the launch party. This month's lineup features a uniquely curated selection of the finest local house & techno DJS. 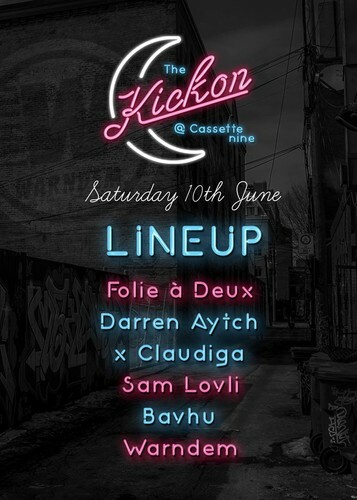 If you were lucky enough to be in attendance last time, you'll definitely be keen to get yourselves back down to Cassette Nine for this one!